Always searching for faster and better ways to work with MLV raw for fast turn around when time is limited . I know this has been talk about before back a few years ago that ffmpeg started to support magic lantern raw video. With this in mind I downloaded the latest version for windows and in the package there a app called "ffmpeg play"
I tested 14bit & 10bit there seem to play the same on my SSD . Not Sure what there are using to decode maybe DCraw? If the right black levels could be obtained this would be very handy indeed . Greenish cast seems not so easy to fix. There,s code out there you could find and maybe even post about it on the ffmpeg forum. The faster workaround seems to use mlvfs and open up dng sequences in mlrawviewer. MLVProductor . Just looking to check files with audio & for corruption . Just looking to expand my magic lantern raw video tool set because you never know , it my come in handy e.g. There are settings for different levels and maybe even piping could achieve a non green output. I might take a look at a piping command. Me and dfort was sitting with this a year ago, I even think he tried to get some attention at ffmpeg forum back then. I down loaded the source code and found the decoder mlvdec.c file. 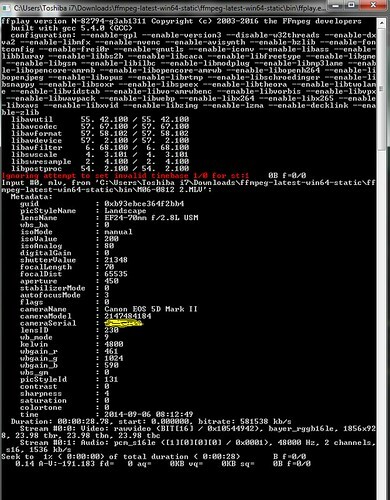 Is FFmpeg/FFplay outputting the raw stream? 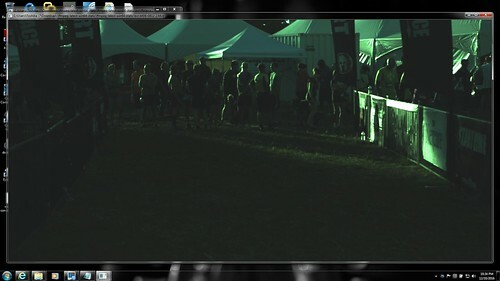 Stream #0:0: Video: rawvideo (BIT / 0x10544942), bayer_rggb16le,Can we apply color matrix or colorformat to this stream? Maybe piped to another ffmpeg/ffplay output? Here,s a sort of a dead end but also some good info. Here is a little quick test with a 3D correction lut created in DaVinci resolve. I just played with this manually, no math, could be much better. Command goes like this. Wow, interesting. When we looked at this a while back (FFMPEG now officially supports Magic Lantern Video) it seemed that ffmpeg wasn't debayering MLV files properly. Something to do with the extra green pixels in the RGGB Bayer Pattern. Looks like you can "correct" it out. Not to bad @Danne , could be a temporary work around . Look like you loss the highlight maybe fine tuning the lut a bit more ? it seemed that ffmpeg wasn't debayering MLV files properly. Something to do with the extra green pixels in the RGGB Bayer Pattern. plus there seems to be 2 different Bayer & CFA pattern so maybe a issue? Yes, could be the place for a fix. Since it,s overwashed with green I,d start checking green numbers. I tried swapping som defined numbers and there was a shift towards magenta. What all numbers do in code is hard to say for me. Not sure where to proceed from here. Maybe start nagging the moderators on ffmpeg forum . This player also runs MLV files and is also open source.